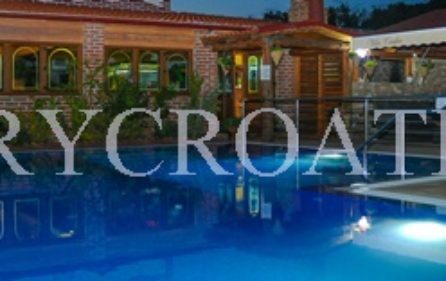 Amazing apartment villa with pool for rent, Novalja is an attractive villa with 12 apartments, that can accommodate 58 people. 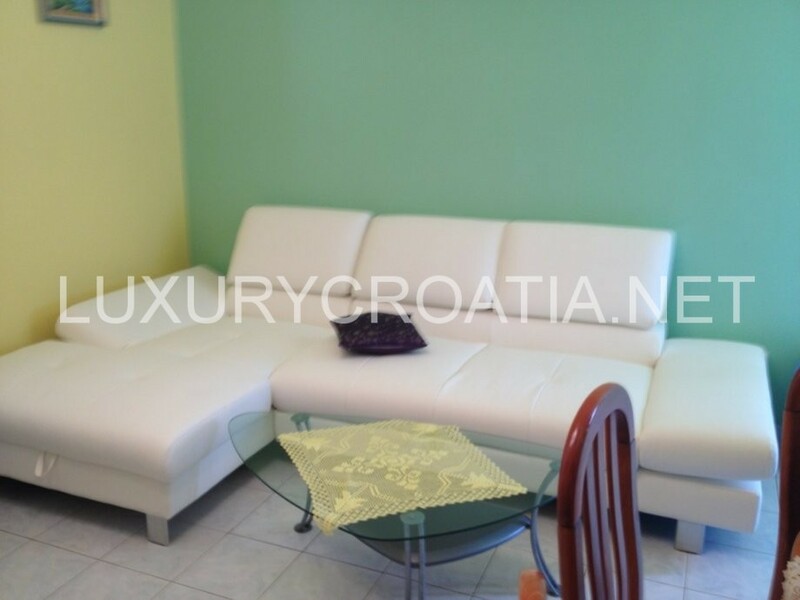 The villa is located 300 meters from the beach Caska, and Zrće beach is 800 meters, only 15 min walked from house. 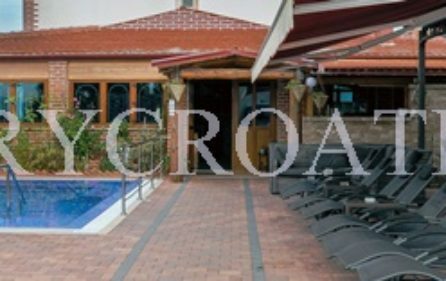 Villa offers shared outdoor pool with a furnished terrace for entertainment of all ages, a spacious restaurant with a wide range of local dishes, pizza, grilled dishes and specialities from the wood-fired oven. Villa has free parking for every guest. 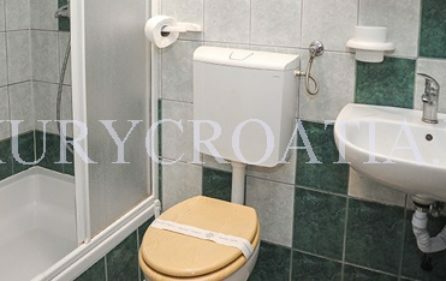 All units are equipped with private bathroom, kitchen, terrace, air-condition and internet. 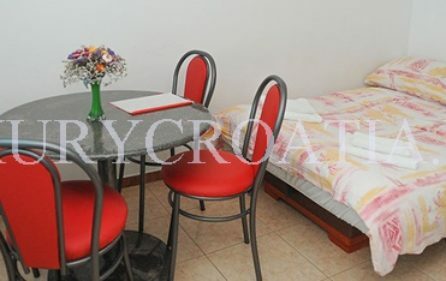 Comfortably furnished and well appointed rooms with TV, antibacterial material, pillows, bedding and towels are characterized by spaciousness and the view of the beach and landscape with terrace of twelve apartments. The swimming pool infront of the villa is shared. Wi-Fi is available – at an additional cost. 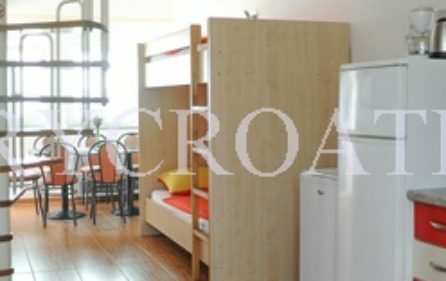 First apartment consists of two separate bedrooms, a fully equipped kitchen with a dining area, a living room, and a bathroom. 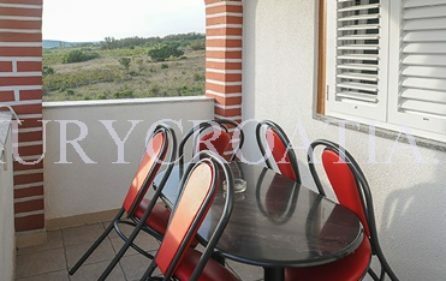 The apartment has its own terrace with the great seaview and the landscape. 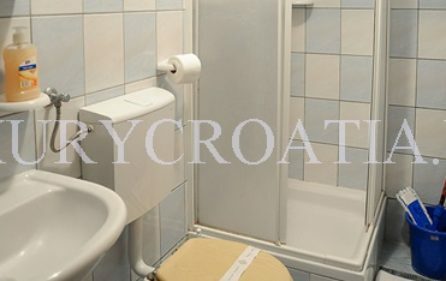 The apartment has access to a swimming pool and an outdoor terrace, and free parking is available infront. The surface area of the apartment is 60 m2. 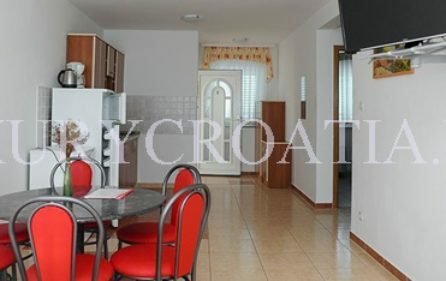 This second and fourth apartment can accommodate 4 guests and consists of a separate bedroom, a fully equipped kitchen, dining room and living room and bathroom. 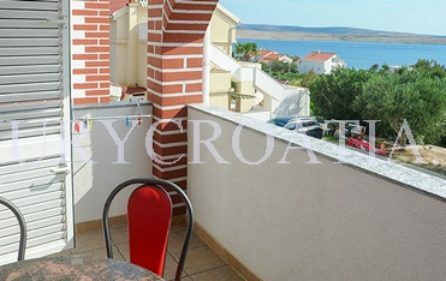 The apartment has its own terrace overlooking the sea and the landscape. 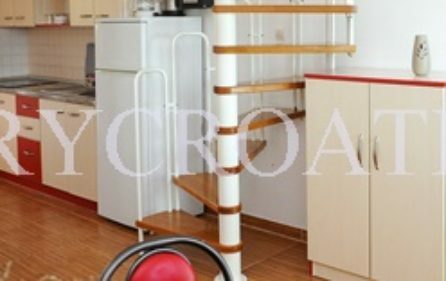 The surface area of the apartment is 40 m2. 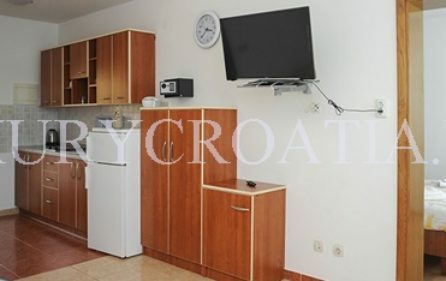 This studio apartment for 2 people consists of a fully equipped kitchen with a dining area and a bedroom in one room, and a bathroom in a separate room. 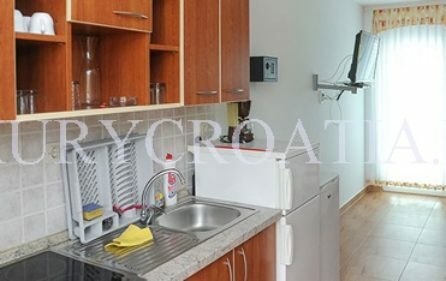 The surface area of the apartment is 27 m2. 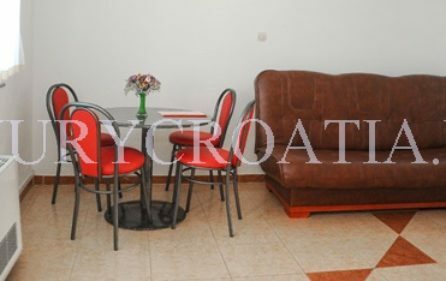 This apartment for 6 persons consists of two separate bedrooms, a fully equipped kitchen with a dining area, a living room, and a bathroom. The apartment has its own terrace overlooking the sea and the landscape. The surface area of the apartment is 60 m2. 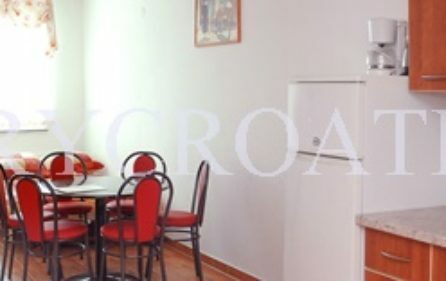 This apartment for 4 people consists of a separate bedroom, a fully equipped kitchen, dining room and living room and bathroom. 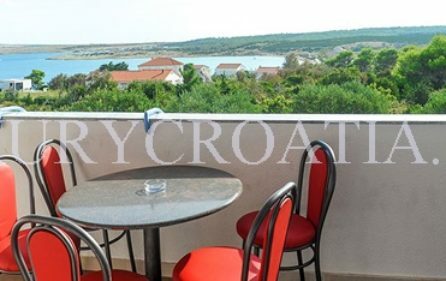 There is also a terrace with a great panoramic seaview. 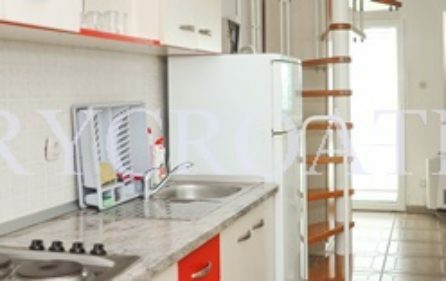 The surface area of the apartment is 40 m2. 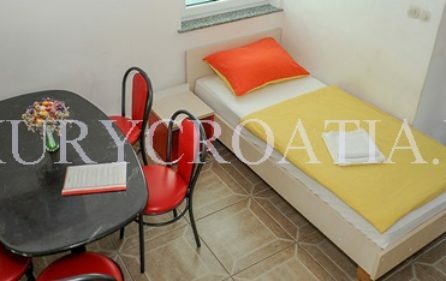 This comfort studio apartment 8 for 4 people consists of a fully equipped kitchen with a dining area, a living room and a bedroom in one room, and a private bathroom. The apartment has its own terrace overlooking the sea and the landscape. 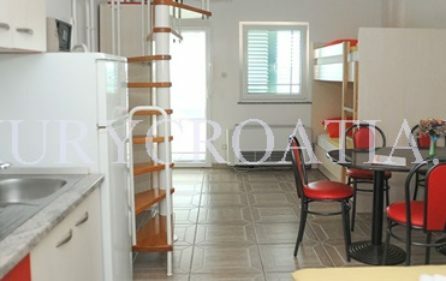 This apartment for 8+2 persons consists of four separate bedrooms, of which two are in the gallery, equipped kitchen with dining and living room, and two bathrooms. The apartment has its own terrace overlooking the sea and the landscape. 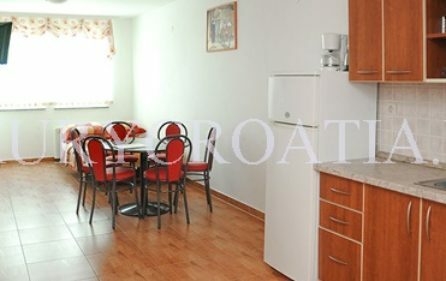 This great spacious apartment for 6 people consists of two separate bedrooms, one of them in the gallery, a fully equipped kitchen with a dining area, a living room, and a bathroom. The apartment has its own terrace overlooking the sea and the landscape. 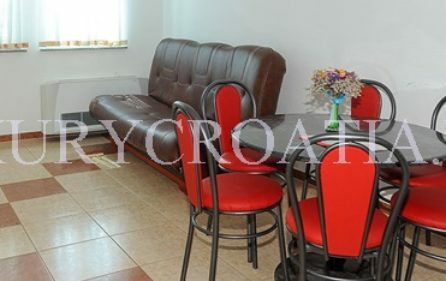 This great spacious the apartment 11 and apartment 12 for 5 persons consists of a bedroom in the gallery, equipped kitchen with dining and living room and bathroom. The apartment has its own terrace overlooking the sea and the landscape.